For years, Book of Ra has been one of the most popular classic video slot machines in Novomatic casinos, so it’s no surprise that they decided to launch another, up-to-date version of this game. Book of Ra Deluxe slot features the familiar Ancient Egypt theme, 10 paylines, Free spins and the special Expanding symbols. 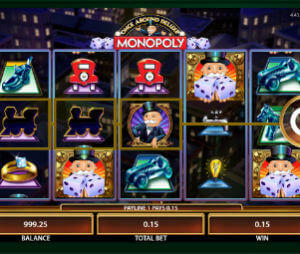 You can play Book of Ra Deluxe and plenty other free slot machines here on SlotMachinesOnline.co. Ancient Egypt is one of the most popular and classic slot machine themes. If you remember the classic Queen of the Nile and Cleopatra slots – you’ll know what I mean. I don’t think there is a single slot provider that doesn’t have one. The original Book of Ra and the Deluxe version are Novomatic’s interpretations on the subject. The Explorer is the highest paying symbol of the slot, followed by the ancient statue and sarcophagus. The Book is naturally the special symbol of the slot. First, it substitutes for all other symbols. Second, it is the one that triggers the Free Games bonus. Book of Ra Deluxe is great for both penny slots fans and high rollers. The minimum bet per spin is 1 cent and the maximum is usually $/€100 per spin. This is the main bonus feature of Book of Ra Deluxe slot. To activate it you will need to see 3 scatter symbols anywhere on the reels. You will be give 10 free games with the special expanding symbols bonus. Before the Free Games start, one symbol will be set as the expanding symbol. That means that after the each spin after the regular payout, the special can expand and cover the whole reel to create additional winning combinations.